Our dogs are treasured members of our family. We sleep with them and cuddle on the couch with them during movie night. And, of course, they were in last year’s Christmas cards. 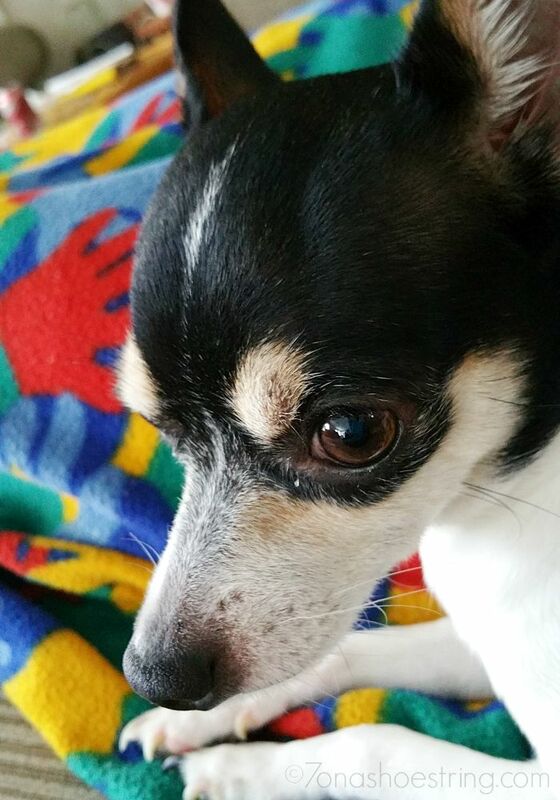 Both of our Chihuahuas are full of life and plenty of character. The oldest, Daisy, is stuck in her ways and prefers lounging on the couch over playing with the squeaky toys we buy her. On the other hand, Holly is younger and a ball of energy. 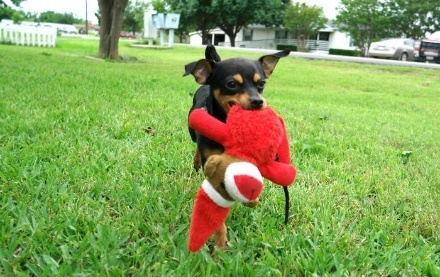 She can run for hours and enjoys being outside in the sun — running under the trees and weaving in and around her toys. Daisy and Holly are loyal animals and have a sweet way of showing their affection. We show them ours by doing everything we can to keep them healthy and happy. Doing so doesn’t even require a lot of work. 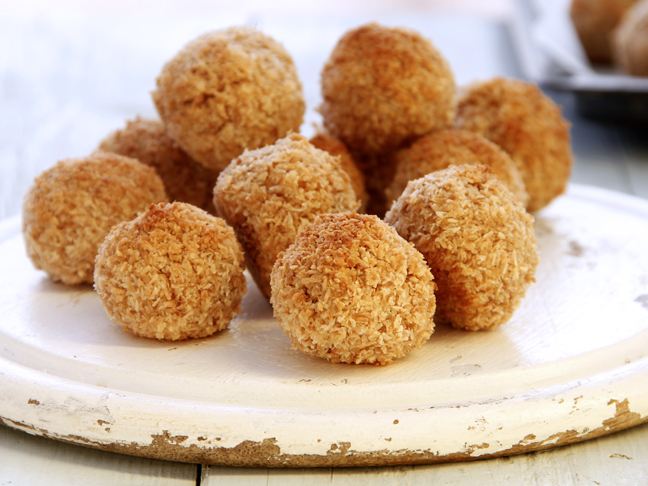 We start with regular visits to the vet and a daily diet of dog food formulated especially for small dogs. 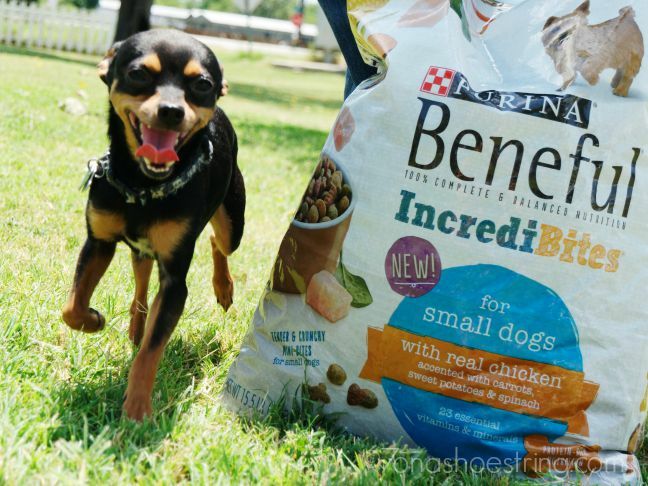 At a few pounds each, they need the protein-rich nutrition that Beneful IncrediBites for Small Dogs can provide. Keeping them fueled with the proper diet gives them the energy they need to keep up with our children. That’s right: It’s important to us that Daisy and Holly get plenty of exercise, and playing with our kids is a great source of physical activity. All of their toys are equivalent to their size and weight. And, we play with them every day to give them a sense of belonging, as well as usefulness. In addition to the physical benefits of exercise, they’re getting the emotional benefits of togetherness that comes from playtime. By far, the easiest thing we do to keep our dogs happy and healthy is shower them with love. Daisy and Holly may even feel smothered at times! The girls cannot get enough of them and rarely leave our dogs alone. Fortunately, both dogs love to cuddle and get attention—and they reciprocate it right back. Meeting our dogs’ emotional needs makes them better companions for our family and keeps them happy and healthy. We make sure to feed them well, give them ample play time, and show them that we love them. These few practical tips for dog owners, like us, are easy to achieve and can prove meaningful for the entire family.